Millions of people have flocked to Walt Disney World over the years and with those guests, Disney has expanded their hotel and transportation options. With the increase in people, there is also an increase in diverse personalities that can cause some friction. Here is a short guide to keeping things magical on the bus. 1. Move all the way to the back of the bus – Sometimes this really seems to be a challenging concept, but I’ve always felt it was fairly obvious. Move all the way to the back and the people behind you have room to get on the bus. Once it’s full, the bus will leave and not before. The problem is that there are a lot of people who get on the bus and plop themselves in the first seat they find and everyone else invariably ends up waiting for long periods of time sitting or standing on that bus because people need to move further back and fill in the gaps that guy in the middle of the bus left when he refused to go as far as the back door. Keep moving to the back and you’ll get where you’re going faster. 2. Respect your elders – This was one of my great grandmother’s favorite things to say to me, and that could be part of the reason that there was no love lost between us during her lifetime. Her crankiness aside, she did have a point. I’m really not a fan of standing on the bus, but I hope that someday when I’m old and grey, someone will stand up and let me have a seat, and for that reason, I will get up and offer a seat to someone who is clearly in need of it. You know which guests I’m talking about, too. 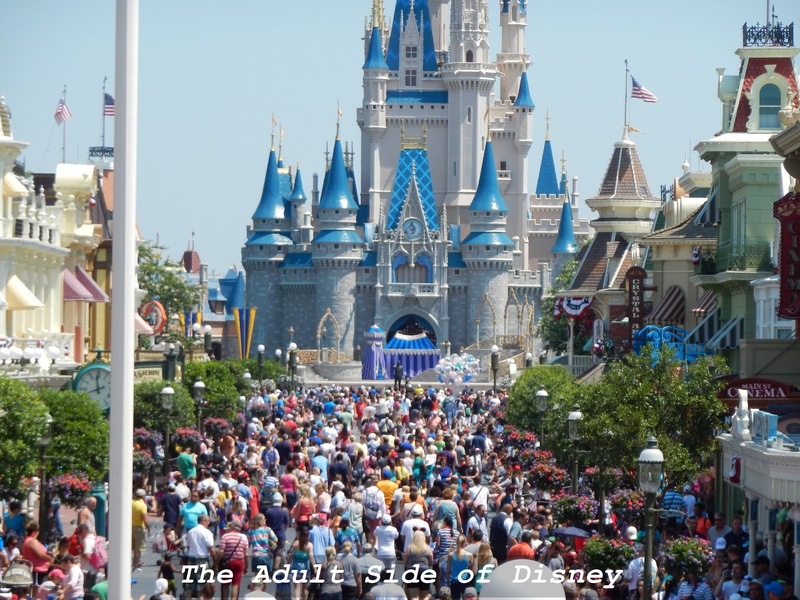 They are the true Disney fans who go even though it isn’t as easy to walk around the parks anymore and love to watch their gaggle of grandchildren enjoy themselves the way they once did. So, if you’re able, lend them a hand, and give them your seat. 4. Listen to the bus driver – I will be the first to admit that my hearing is not the greatest, so sometimes I can’t hear a word that bus driver is trying to say, but I can guarantee you that whatever it is, it’s for your safety. My grandfather got yelled at once because he let my then 3 year old cousin stand on the seat while we were riding the bus. Good judgment on his part? Definitely not, and the driver called him on it. Did he like being called out? Definitely not, but he grabbed that little girl and held her for the rest of the ride, so the admonishment did the trick. Sometimes, common sense flies out the window, and the bus driver is there to reel it back in for you. 5. Be polite – I have had some of my best “conversations with strangers” on the bus. We’ve met families of all shapes and sizes that are celebrating any number of occasions and met people from all over the world. The best interactions we’ve had with other guests were finding out that we actually lived close to each other in our real lives and had never met before. Of course, the more amazing thing is getting on the bus and seeing someone you know but (believe it or not) that only happened to me once and we were in Europe. So, say hello, and strike up a conversation, and make yourself a ten minute friend. 6. Try not to complain – I’m not going to tell you not to do it, because we all do. It is human nature, and I can assure you that I am not a fan of wheelchairs and the lift on the bus. I am guilty of getting annoyed at having to wait for those things to load onto the bus, but my feelings aren’t going to change how quickly, or slowly, that thing is going to get on the bus, so I might as well make the best of the situation and just wait my turn. My husband and I are continually reminding our daughter that if she does something, her younger cousin is probably going to try to do it, too and the same goes for us. If we start complaining about the extra time it takes for someone who needs some extra help to get on the bus, my daughter will, too. 7. Have fun – Did you know that many of the bus drivers carry transportation cards with them? The transportation cards are carried by the Cast Members who work the various transportation jobs around the property. I have yet to collect a full set, mostly because they keep discontinuing cards, but it’s still a fun thing to do. My daughter loves talking to the bus driver and getting a card. Other times, the bus itself has provided a source of entertainment. Years ago, we heard a comedian do a bit about a car with a broken horn. A few years later, we rode a bus that had a short in the horn, so every time the bus driver turned the wheel, the horn would honk. This started the giggling and then there was outright laughter going on when we started quoting the comedian to go with the horn and it’s one of my favorite bus ride memories. Especially since it was dark and we were tired, and it gave us a little bit of a pick me up to get us back to the hotel. So, those are my thoughts on being a good bus rider. What do you think? Did I miss anything? This should be part of the welcome packet when checking in to any Orlando area resort, hotel, motel or rental home of any type. It’s unfortunate that with bus ridership, queues, dining, fireworks viewing………… that adults have to schooled on manners. I do have one more for your list. When there is a line to board the bus, go to the back. I thought my hubby was going to get punched for pointing out the back of the line to a man taking his family of at least 5 to the front and guess what…. all standing by the driver and not moving back. Joanna, I know exactly what you’re talking about. I actually think it’s amusing how angry people can get when people try to cut in line waiting for the bus. I’ve seen people try to use their strollers to push people out of the way.